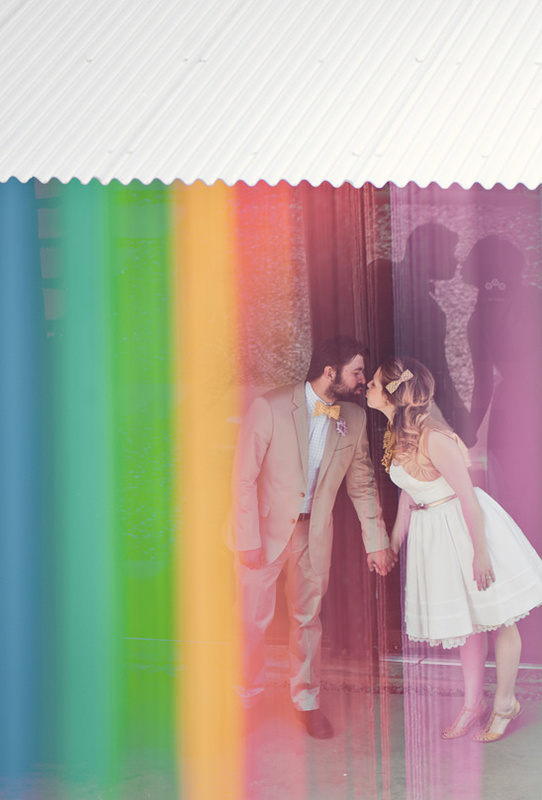 A friend once shared that she wanted her wedding to have a "rainbow theme." 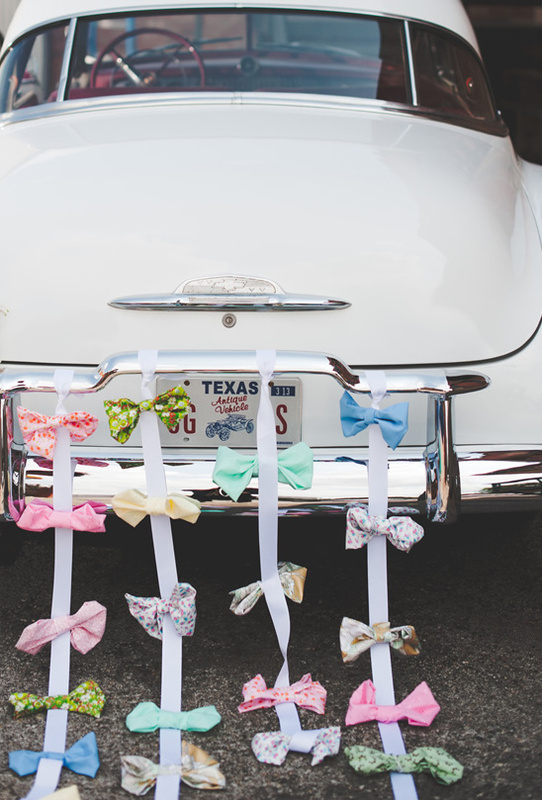 Hard to envision then, but now we totally get it. 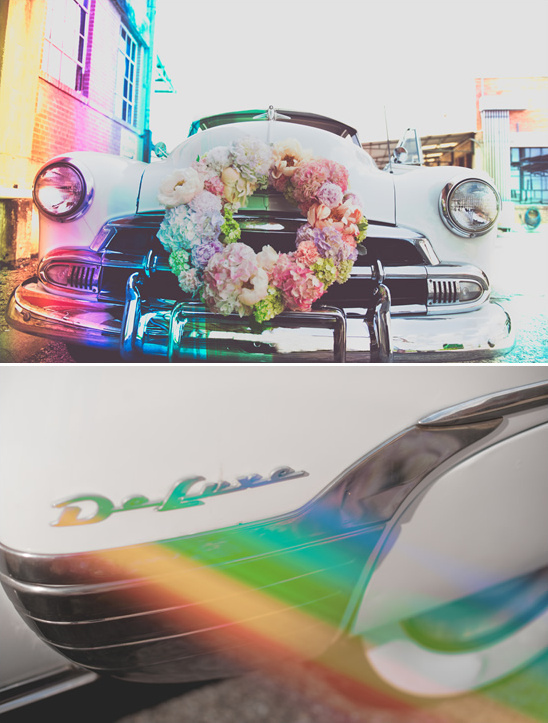 Event Styling by Shawna Marie took the rainbow theme to a whole new level. 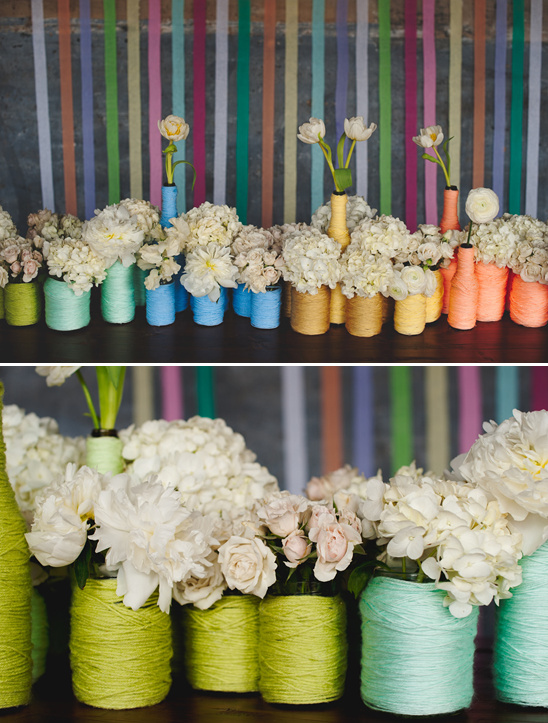 With brightly colored yarn wrapped vases, a rainbow sherbert station, multi colored bow ties as decor and the cutest ribbon wall we have seen. 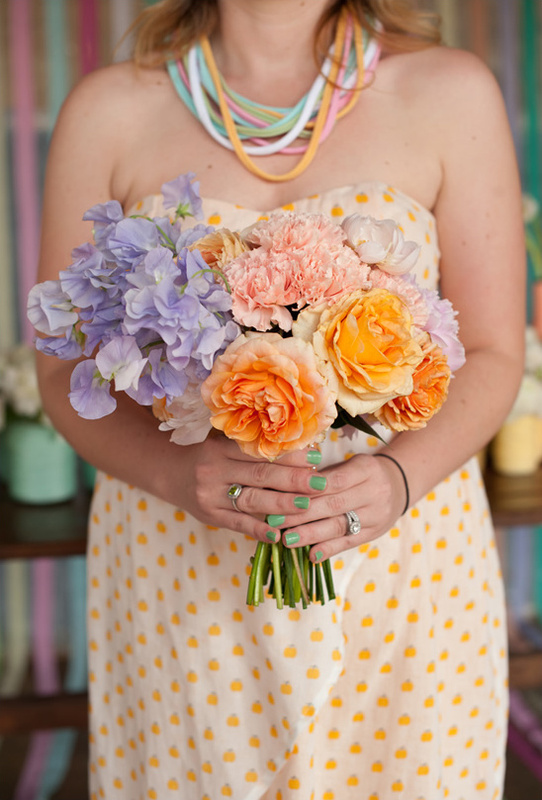 All these rainbow wedding ideas are precisely why this Texas event stylist is part of our Hand-Picked collection. 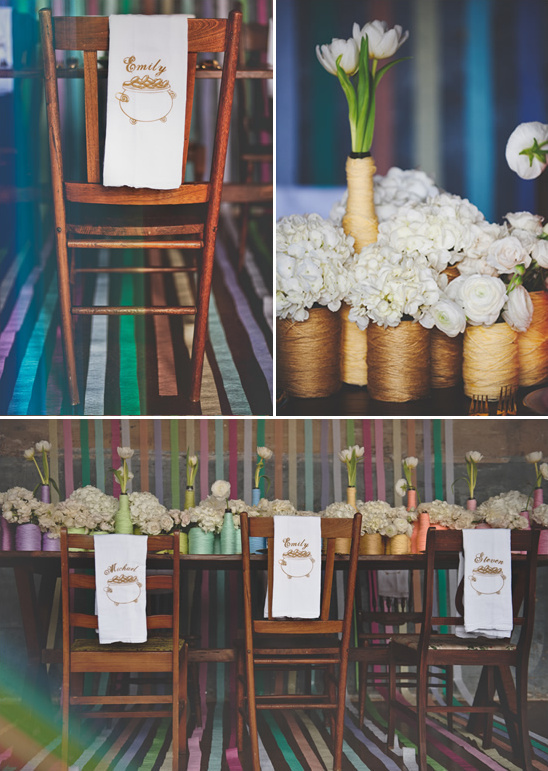 Don't think we have not forgotten about the photographers who brought all this fanciness to life, Nine Photography captured everything beautifully. 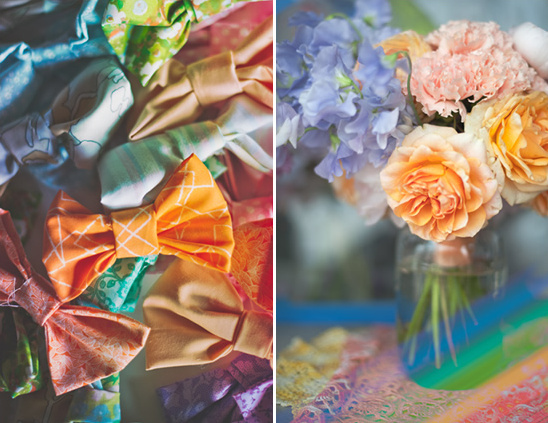 To see all the images up close check out the full gallery by clicking here. 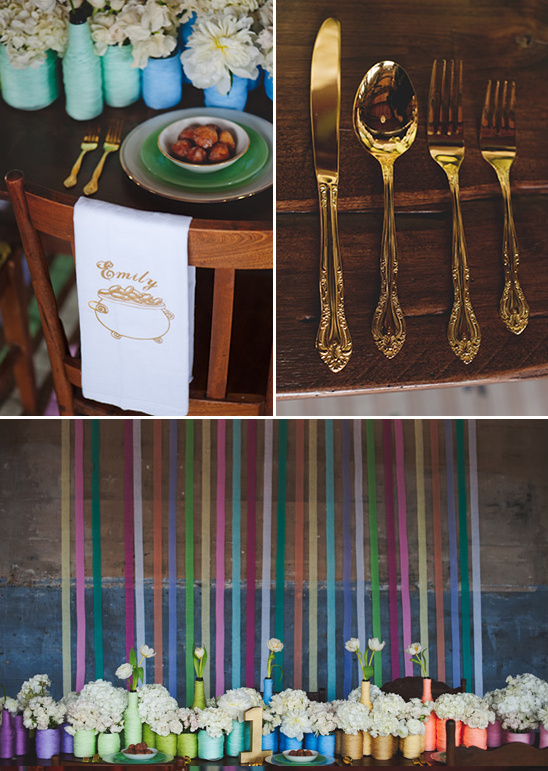 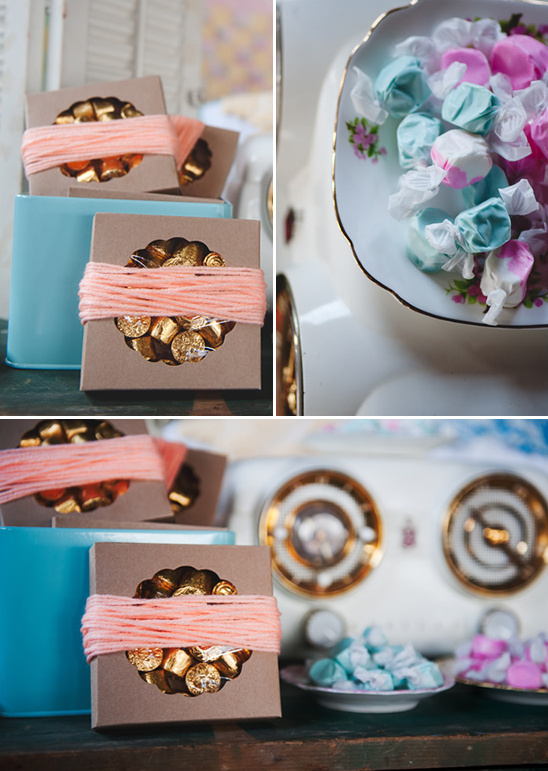 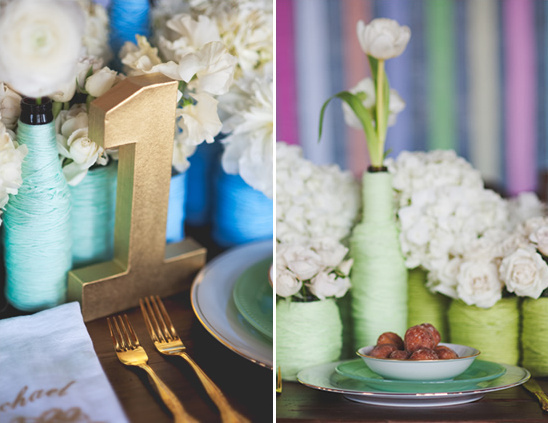 From Event Styling by Shawna Marie: Vintage rainbow color tones were my main inspiration behind this shoot. 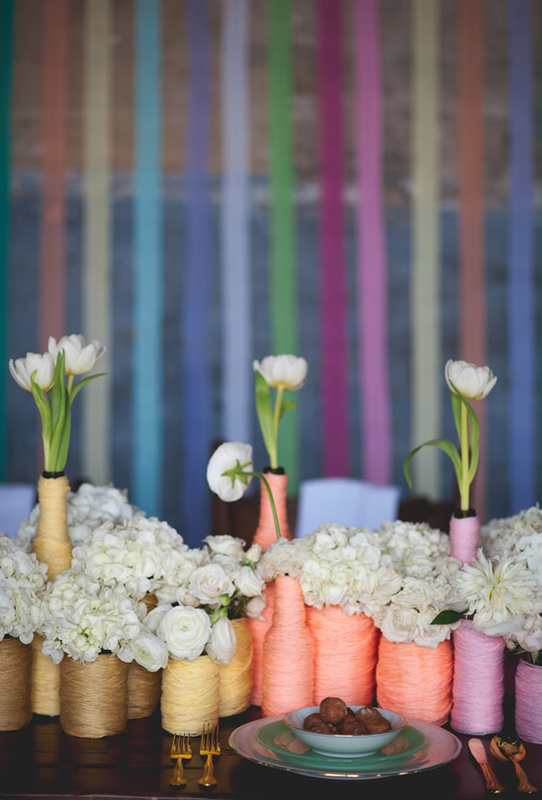 Rainbow decor is very festive at parties and incorporating it in a softer color palette lends itself to an inviting look for summertime weddings. 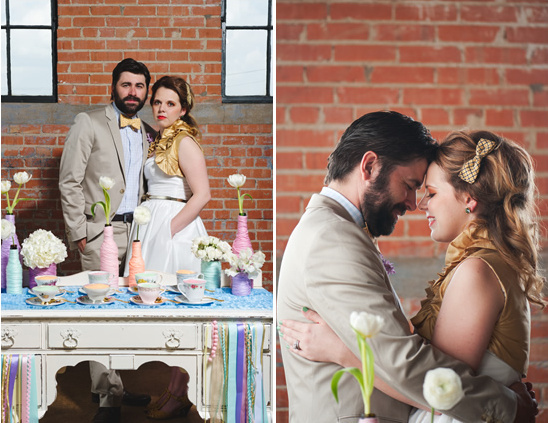 The couples light-colored attire was based on the cheerful and relaxed vibe of the day. 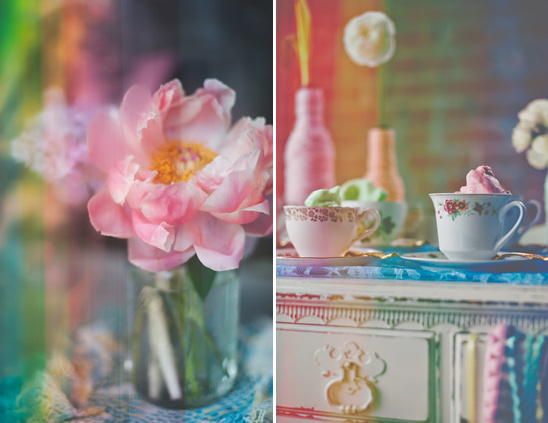 The sherbet station was draped with pastel lace and mix-matched antique tea cups, which added a colorful vintage decor element. 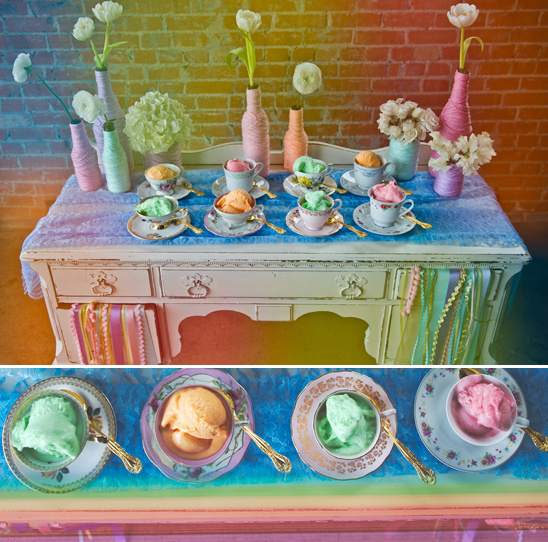 Sherbet is so fancy in teacups and is such a refreshing summer treat for your guests. 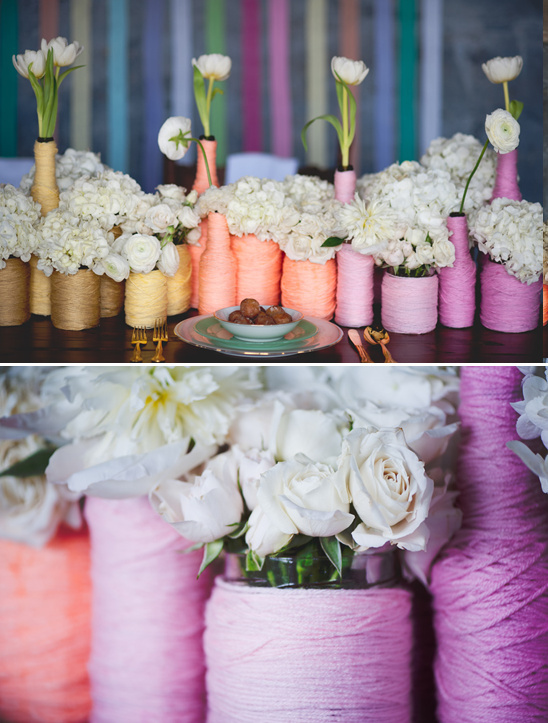 Creating the pastel bow ties and yarn bottles throughout the scheme was a labor of love that tied the rainbow scheme together. 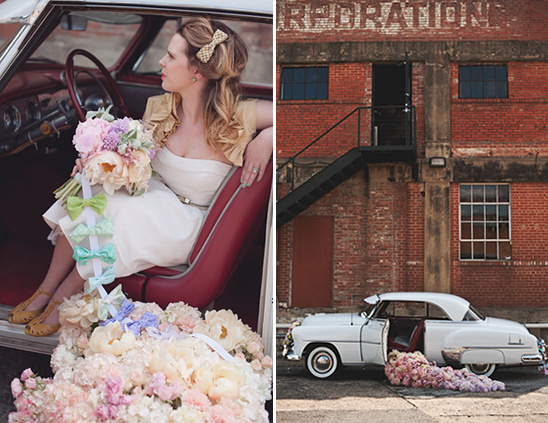 The white Chevy from Bowtie Vintage Classics is a fun backdrop for photos and makes a perfect wedding getaway car. 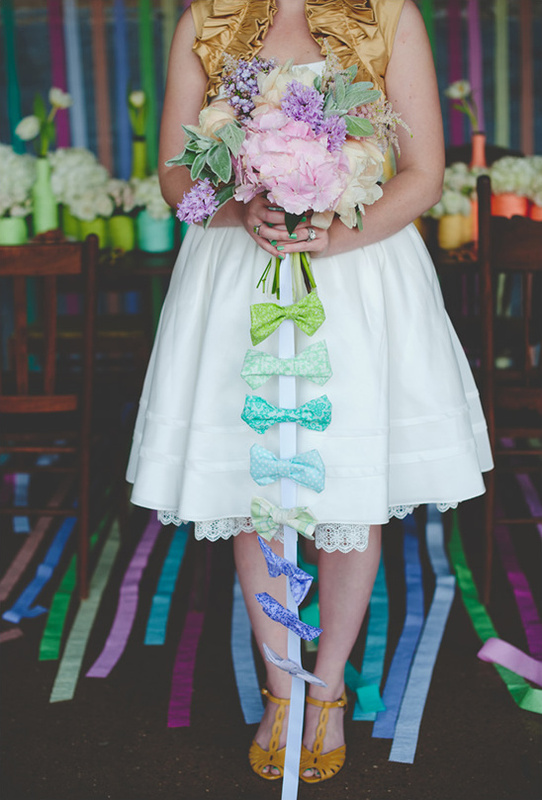 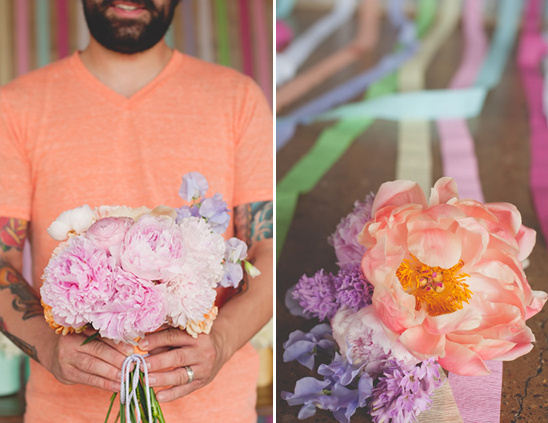 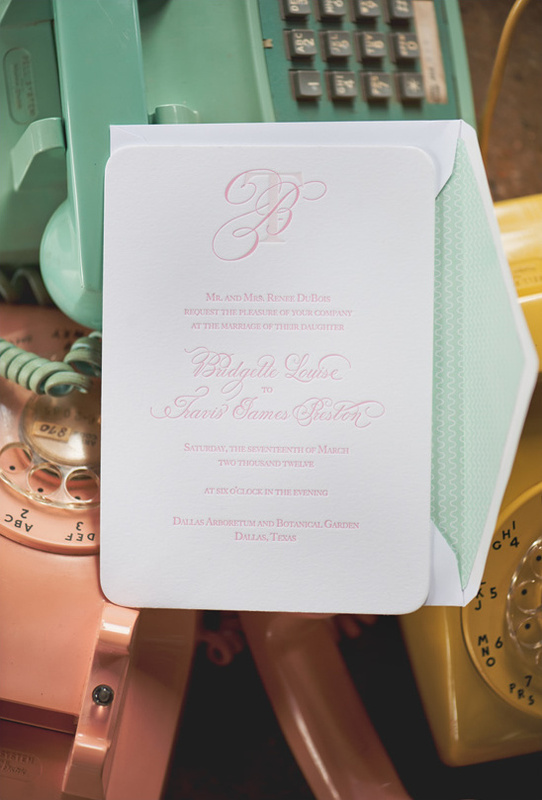 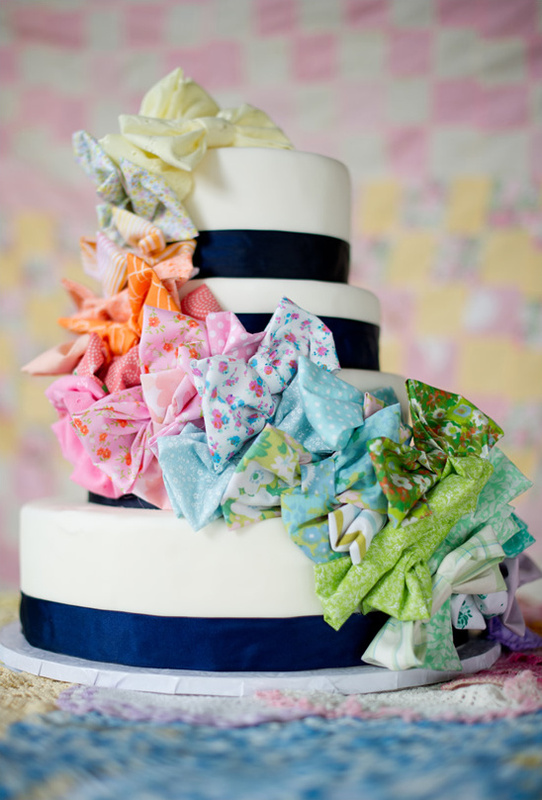 Florals by Bows + Arrows were the wow factor of pastel prettiness! 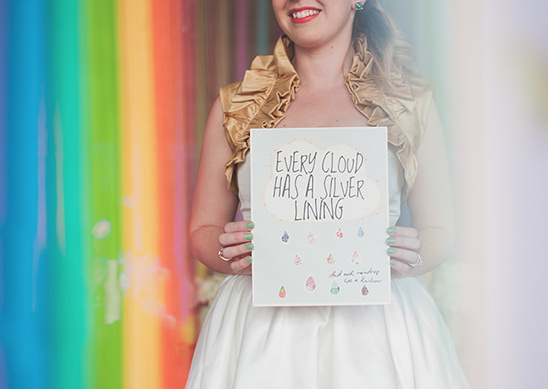 To see everything in real life by I DO! 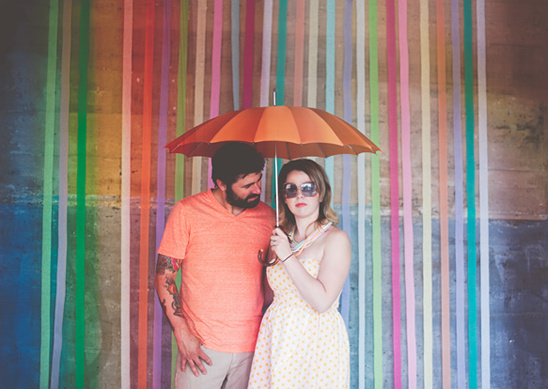 Cinematics watch the short cinema clip below.